There are so many fantastic things to do and see in Dali Old Town. Dali is a city in the province of Yunnan in the South of China. The old town is situated on the shores of Lake Erhai in the east and bordered by the spectacular Cáng Mountains in the west. Many travellers stop for a while to enjoy this laid-back town before tackling some of China’s most incredible hikes. Whether you prefer nature or culture, Dali has something for everyone to enjoy. You cannot visit Dali without visiting the beautiful lake Erhai. Erhai translates quite literally into “Ear-shaped Sea” due to being shaped like an ear. It is easy to reach this alpine lake by taxi, scooter or bike from the old town. if you are in no hurry you can even walk to the shore. Walking through fields and little hamlets you will see the locals toiling away in the fierce Himalyan sun. Once you reach the lake, simply relax on the shores. In the evening, the lake turns sapphire blue yet the views are even lovlier morning. Another attraction that you cannot miss and which are the highlight of any trip to Dali are the stunning Three Golden Pagodas. The Three Golden Pagodas are three separate pagodas positioned in a triangle at Chongsheng Temple at the foot of the Cang Mountains. There have been pagodas on this site since the 9th century. If you would like to pray start at the tallest pagoda. Walk around the main pagoda clockwise three times. You then walk around the other two pagodas three times each for good luck. The pagodas are particularly magical early morning as the sun is rising and the tourists haven’t arrived yet. One of the easiest ways of getting around is by scooter. This is an inexpensive mode of transport and will offer you ultimate freedom in terms of choosing when are where you would like to go. One particularly nice road route is the West Lake Road. Cruise along the shoreline of Lake Erhai and admire the views. The road is well kept and fairly quiet making this a great choice for inexperience riders. No experience is needed to rent a scooter in Dali, you don’t even need a driving license. With a scooter you could also visit the nearby Bai villages like Xizhou and Zhoucheng. Dali old town can seem a little crowded especially on national holidays such as Golden Week. whilst the crowds are manageable unlike on Yellow Mountains at the weekend, you may wish to head out to one of the smaller towns around the lake. The town of Xizhou is very pretty and slightly less touristy than Dali old town. Xizhou is full of beautiful old streets, intricate wooden buildings and pretty tiled walls. The grass growing out of old rooves gives the town a feeling of timelessness. If you are thirsty during your visit you can try Sandao Tea. Sandao tea is the most famous tea in Xizhou. This tea mixes leaves of bitter tea, sweet tea and ‘aftertaste’ tea. If you are particularly interested in Bai culture you can even take part in a tea ceremony in Xizhou. A little further north along the lake from Xizhou is the old town of Zhoucheng. If you want to see some traditional Bai tie dying you should visit. Zhoucheng is known as the ‘Hometown of Bai People’s Tie-dyeing Art’. Tie-dyeing originated in China thousands of years ago but the Bai people put their own twist on the art. Traditional Bai colours are white and blue. The white color is used for the flower patterns and the blue for the background. It is said that the contrast of these two colors shows the beauty of simplicity, which reflects the Bai People’s peaceful and tolerant minds. Whilst on my visit the Bai people were not particularly peaceful or tolerant and instead were very pushy. The tie-dye sheets are very beautiful though and Zhoucheng is worth a visit whilst you are in Dali. Dali Ancient Town is one of the most famous ancient towns in China. Whilst Dali is smaller than the old town of Lijiang there are still some beautiful sites to behold. Wonder around admiring the streets and old buildings. It’s best not to aim to see anything in particular and to just meander through the old town. Make sure you try some yummy street food such as baked breads and sweet rose jam to keep you fuelled on your expedition. There are six city gates that all stand proudly and protect Dali Old Town. The gates are called Wenxian Tower, South Gate, North Gate, Cangshan Gate, Erhai Gate and Wuhua Tower. You can climb up the city gates for free. From the top admire the view of the Dali Old Town, the Cang Mountains and Lake Erhai. If you don’t have time to climb all of the gates make sure you go up the South Gate. The South Gate is over 600 years old. This gate is said to be the oldest building of Dali Old Town and has become the symbol of the ancient town. There is a beautiful Conficious temple in Dali Old Town. You can go into the temple for free. The grounds are very peaceful and I would recommend going at night. If you go at night all of the lamps are glowing. The red latterns sway gently in the wind as if trying to hypnotise you. The province of Yunnan produces 95% of China’s coffee. Apparently, coffee plants were first introduced to Yunnan province in the late eighteen hundreds by a French missionary. Whilst you are in Yunnan you must try a cup of Kāfēi. There are so many lovely coffee shops in Dali you can relax at. After all your travels in and around Dali you have deserved a break. 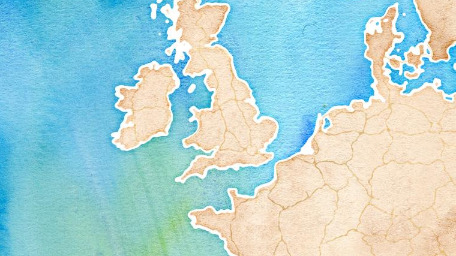 Bring a notepad and record all your adventures from your trip whilst sipping on your coffee. Finally, at number 10 you will want to remember your visit to Dali with some souvenirs. The yuan shop has a wide variety of tacky to traditional souvenirs. I fell in love with some of the Tibetan bells, especially the ones with traditional taxi hieroglyphs. The bells are said to ward evil spirits away. Make sure you stop by so you can buy yourself, family or friends a little piece of Dali. Would you like to visit Dali? 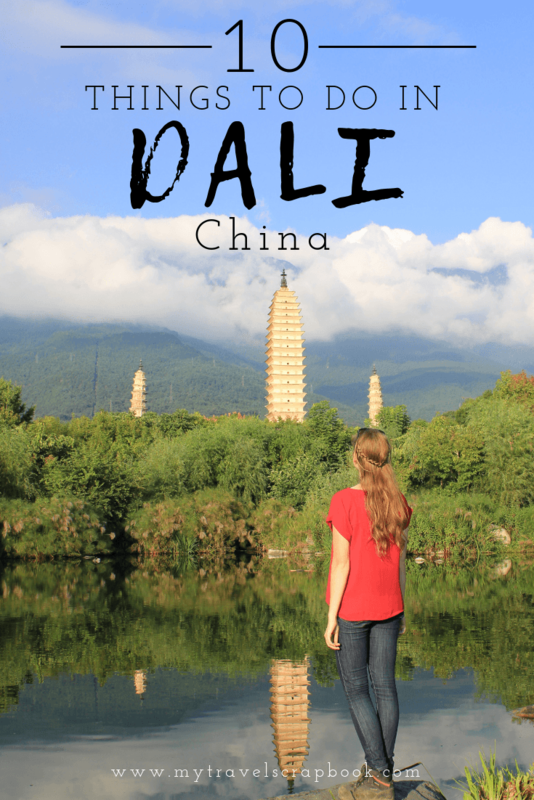 Would you like to visit Dali? Let us know in the comments below which site you would most like to see!